Hi friends! Today I want to share with you some tips for the perfect airport outfit! It is always so difficult for me when choosing an outfit to go through security with, on the airplane, and wherever else you may go once you arrive at your destination. 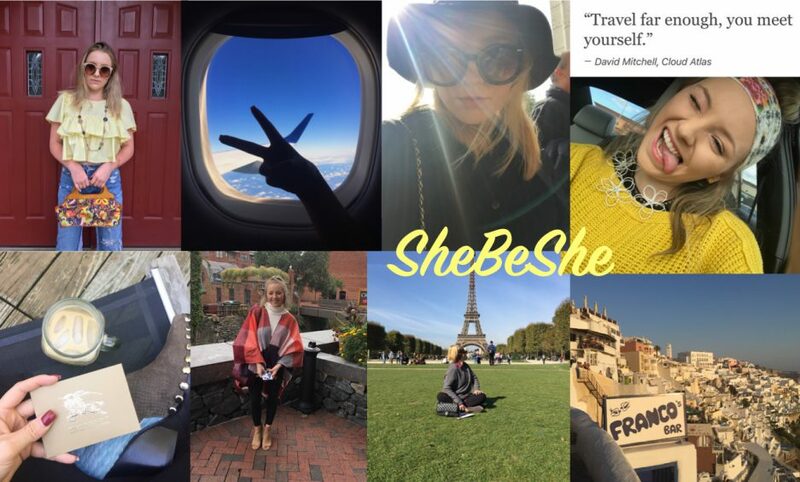 Over the years I believe I have perfected … Continue reading Traveling Talk…It’s Wednesday! A Week in Charleston Wednesday! Happy Wednesday friends! As you may know I just went on a trip to Charleston, South Carolina. I love going here because there is so much to see and do. One of my favorite things to do when I am here is go into the city part of Charleston. There is so much history, food, … Continue reading A Week in Charleston Wednesday! Wednesday Flying is a Breeze! It’s Wednesday friends and you know what that means… travel talk! As I am writing this blog post I am on a plane looking down at some really beautiful sights, which needless to say inspired me to write this post. Today I wanted to discuss something personal. The past few years I have grown a … Continue reading Wednesday Flying is a Breeze! Happy Wednesday friends! Today I thought I would discuss with you all my go-to tips for how to pack like a pro! I am going to Charleston on Tuesday so I figured.. Why not have all my friends here pack with me? I am by no means a packing/traveling expert, but I have noticed throughout … Continue reading Wednesday’s are for Packing! Happy Wednesday my friends! Today I want to talk to you about my favorite place in the whole world… Paris! I had the chance to travel to this beautiful city for my 18th birthday and I fell in love in more ways than one. There is really something so magical about experiencing a new country … Continue reading Bonjour Paris it’s Wednesday!